Canadian Wildlife Federation: How can I get rid of cutworms? Cutworms are the larvae of brownish-grey cutworm moths. There are a few ways that can help deter cutworms from attacking your plants. Some people find placing little sticks or even toothpicks at the plant’s stem so that the cutworm is unable to wrap its body aroudn the stem. Others find cutworm collars efficient. To make the collars, cut strips of lightweight cardboard about 20.5 cm x 6.5 cm. Overlap the ends to make a tube and fasten with tape. Slip a collar around each plant and press it into the soil around the stem so that half of it is below the soil. You can also use tin cans with both ends removed as collars. As with the cardboard collars, you should sink the cans a few inches into the soil. 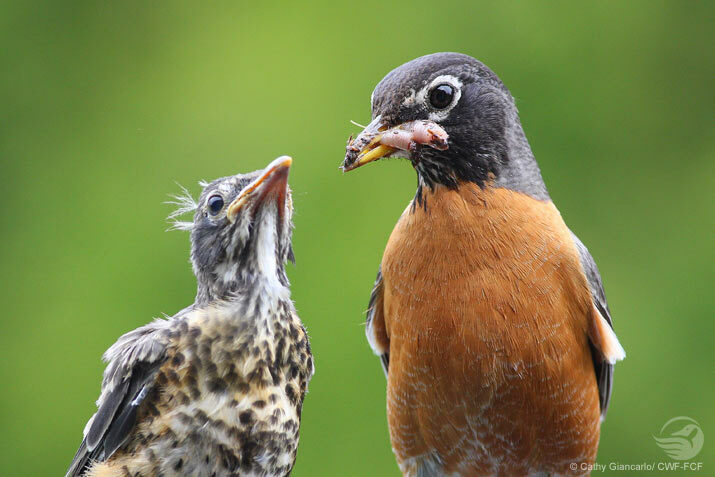 Cutworm larvae are a favourite food of some birds, such as robins and blackbirds. To allow birds a chance to pick them out, cultivate your soil a few times before planting new plants.